While not garnering as much attention as driving under the influence of alcohol, the act of driving while under the influence of narcotics is just as pernicious and can have the same dire consequences. For some reason, drivers may not feel that operating a motor vehicle after smoking marijuana or ingesting narcotics such as cocaine, methamphetamines, Ecstasy, or even prescription or non-prescription drugs can lead to impaired judgment and reckless behavior. What is Under the Influence of Narcotics? Law enforcement has the means to test and quantify the amount of alcohol in a person’s blood, or their blood alcohol content (BAC), by a breath, blood or urine test. It is unlawful to drive with a BAC of 0.08% in any state in the US, which creates a presumption that you are under the influence. For drugs like cocaine, marijuana or any a narcotic, blood tests can detect their presence but this does not necessarily translate into criminal or civil liability since drugs can remain in your system long after they have affected your physical or mental ability to drive. In other words, there is no uniform legal standard for how much of a drug in your system is considered unlawfully being under the influence for operating a motor vehicle. Still, trained law enforcement officers claim they can determine that a particular drug or class of drugs may be affecting or impairing your judgment. If you were stopped by law enforcement for reckless driving, speeding, causing an accident, or for any other moving traffic violation and drugs are detected in your system, you can be found civilly as well as criminally liable and risk loss of your driving privileges and possible incarceration. Marijuana, cocaine, methamphetamines, and hallucinogens, to name a few common recreational drugs, impair your ability to drive and can lead to a serious car accident in Boston or any other town or city. Pain-killers are often powerful narcotics and can affect the driver’s coordination, reduce inhibitions, and cause drowsiness that are dangerous combinations when operating a car or engaging in any kind of risky behavior. Drug use is increasing in our communities and with marijuana laws becoming less strict; individuals may not appreciate the dangers inherent in taking a drug before driving. Prescription medications do warn of side effects as do the packaging in nonprescription drugs. Unfortunately, in many fatal and serious car accidents, testing for drug involvement is not commonly done. 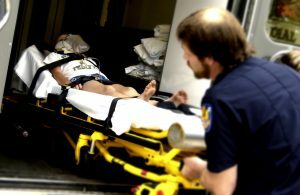 Individuals who cause accidents and who are found to have been under the influence of a narcotic can face civil liability and possible punitive damages along with the other damages common in personal injury and car accident cases. A car accident lawyer has the task of proving the other party was negligent in causing the accident that injured a client but it may be more difficult to prove the party was under the influence of a drug unless law enforcement was able to at least detect a drug’s presence in the person’s blood and correlated the police officer’s trained observations of the individual’s demeanor and driving conduct with the effects of the drug. Those observations are often on a police report. An experienced lawyer will take to the police officer to get more information. You are entitled to special and general damages for your injuries. Special damages include medical expenses, lost earnings and property damage. Your general damages are for pain and suffering, in which the amount awarded is dependent on the nature and extent of your injuries, including temporary or permanent inability to engage in certain activities, length of hospital stay and recuperation, and emotional trauma. There are some classes of drugs where violent behavior leading to such conduct can expose the liable party to an exemplary damage award. Receiving all the compensation for your injuries that you deserve can often be a difficult process, especially if there are egregious circumstances that caused your injury, or death to a loved one, such as a driver being under the influence of narcotics when he or she caused the accident. Pursuing punitive damages beyond your special and general damages requires a resourceful and experienced law firm such as Burns & Jain, who has represented the interests and rights of accident victims in Boston and the surrounding areas for over 30 years combined. Call our office today at (617) 227-7423 for a free and confidential assessment of your accident claim.